HNB Garhwal University Ph.D Interview Geography Notification 2014, HNBGU.AC.IN: -HNB Garhwal University, the Hemwanti Nandan Bahuguna Garhwal University is the central university of Uttarakhand state. There are many of collages in Uttarakhand is affiliated by the HNB Garhwal University. 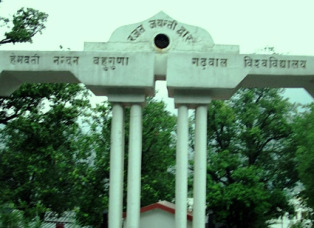 The Head quarter of the Garhwal University is situated in the Srinagar Garhwal Uttarakhand. HNB Garhwal University offers various Degrees, Diploma and Certificate courses to students.